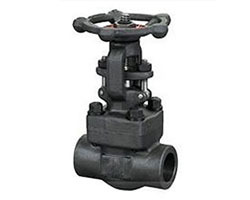 Ridhiman Alloys are Suppliers, Dealer, and Exporter and Manufacturers of Resilient Gate Valves in India. Our high-quality range of Resilient Gate Valves is exclusively designed for chemical industries, steel factories, petrochemical industry, fire protection systems, paper manufacturing industries, shipping/shipment industries, etc. These are designed and developed in accordance with the international quality standards. Resilient Gate Valves that are precision engineered using the best quality raw material. We also customize Resilient Gate Valves as per the requirements of the clients. We supply a wide range of precisely engineered Resilient Gate Valves, made in compliance with international quality and safety standards. Our Resilient Gate Valves are used for controlling the flow, pressure, temperature and liquid levels by fully or partially opening or closing the valve in response to signals received from the controller. Resilient Gate Valves ar used once a straight-line flow of fluid and minimum restric¬tion is desired. Resilient Gate Valves are thus named as a result of the part that either stops or allows flow through the valve acts somewhat just like the opening or closing of a gate and is called, suitably, the gate. The gate is sometimes wedge shaped. once the valve is wide open, the gate is totally drawn up into the valve, leaving an opening for flow through the valve the same size as the pipe within which the valve is put in. Therefore, there's very little pressure drop or flow restriction through the valve. Resilient Gate Valves aren't appropriate for throttling functions since the control of flow would be tough as a result of valve design and since the flow of fluid slapping against a partly open gate can cause in depth harm to the valve. Except as specifically licensed, Resilient Gate Valves should not be used for throttling. RIDHIMAN ALLOYS IS LEADING SUPPLIER DEALER EXPORTER AND MANUFACTURER OF Resilient Gate Valves IN INDIA. What is a Resilient Gate Valves? Resilient Gate Valves are widely used for all types of applications and are suitable for both above ground and underground installation. Not least for underground installations it is paramount to choose the right type of valves to avoid high replacement costs. Our manufactured Resilient Gate Valves contain prime quality materials. factory-made from quality grades meeting ASTM and/or AISI standards as a result of higher the standard, higher is that the toughness of the Resilient Gate Valves. prime quality of steel content makes a Resilient Gate Valves harder and will increase its hardness. Ridhiman Alloys is specialized in Supplier and Dealers of Resilient Gate Valves in India. Ridhiman Alloys is a ISO certified Supplier and Dealers in India. 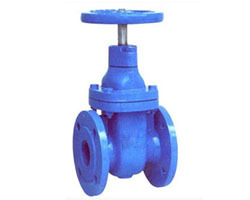 Ridhiman Alloys is widely common in India for its prime quality Resilient Gate Valves products. 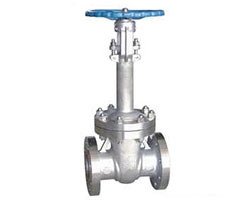 Ridhiman Alloys Suppliers and provides solely quality tested Resilient Gate Valves. Resilient Gate Valves at Ridhiman Alloys bear several toughness and hardness check before provision it to our purchasers. we've over 99% happy purchasers. Our purchaser’s satisfaction depends on a variety of things like quality, Toughness, Hardness, Delivery Time and our Services for Resilient Gate Valves. Ridhiman Alloys may be a Indian Dealers of Resilient Gate Valves in INDIA. Ridhiman Alloys is also a leading Dealer and Exporter and Manufacturer of other Resilient Gate Valves such as control Resilient Gate Valves, safety Resilient Gate Valves, check Resilient Gate Valves, ball Resilient Gate Valves, butterfly Resilient Gate Valves, etc. in INDIA. Ridhiman Alloys is world Leading Dealers of Resilient Gate Valves. Product dependability and performance has created Ridhiman Alloys leading manufactures, Dealer of Resilient Gate Valves in India. Each month we tend to export Resilient Gate Valves product to India port around sixty-five containers to completely different customers. Our prime quality of Resilient Gate Valves, sensible client service, and in-house Resilient Gate Valves processing capabilities have made us one of the emerging and leading Dealer of Resilient Gate Valves in INDIA. Our product Resilient Gate Valves area unit exported frequently to over sixty-five countries. Over last 11 Years we tend to had equipped over 2500+ plenty of Resilient Gate Valves to India. Resilient Gate Valves are designed for fully open or fully closed service. They are installed in pipelines as isolating valves, and should not be used as control or regulating valves. Operation of a Resilient Gate Valves is performed doing an either clockwise to close (CTC) or clockwise to open (CTO) rotating motion of the stem. When operating the valves stem, the gate moves up- or downwards on the threaded part of the stem. Orders at Ridhiman Alloys area unit secured and we offer quick delivery of Resilient Gate Valves in India. the most reason being we've a wonderful reposition and storage facilities for each finished and semi-finished Resilient Gate Valves. they're finished as per the pressing necessities and requirements of the customers. Our company has scaled unimaginable heights in business due to its innovative products, thereto success our export nowadays is in as a result to that success our export account today is in India, Qatar, Oman, Mexico, Canada, USA, Nigeria, Singapore, Malaysia, South Africa, Kuwait, Alriyadh, Bahrain, Sri Lanka, Australia, Brazil, Venezuela, Bangladesh. Our team strives to lean our peers in providing worth added services and support to our customers throughout the world. We are going to deliver instantly with ready to export/supply Resilient Gate Valves.